Friday night saw the opening of David Akenson’s Participatory Game #4. The board game required 4 players to execute and we had some keen punters to carry out the task. David was able to give an outline/premise behind the show and explain the rules. See below for a review of the show, with words by Graeme Kelly. It’s all about the grid. Thanks David for showing with us. A lecturer in Visual Fine Arts theory Dr David Akenson is one of the University of Southern Queensland’s most respected identities. Among his research interests are modern art, Australian art, contemporary art, art history and German idealism. David also expresses interest in the relationship between art and life. “Art, like life, is a game with rules that can be followed or broken, but must always be observed,” he says. This theory has been taken to a new level by David with a showing of his Participatory Game #4: Kasuma, which was launched at RAYGUN PROJECTS in Margaret Street, Toowoomba, on September 1. “This work is a hybrid form of art that belongs to a series of such works I began a few years ago,” David told an audience of admirers, who packed into the gallery for the launch. “It is an abstract game of art for two to six participants. 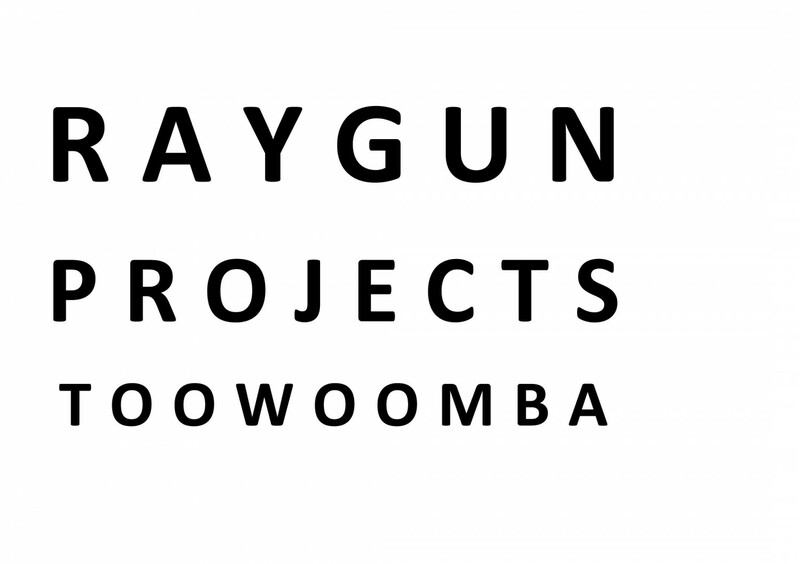 “It consists of a set of rules; a number of objects used in the game; a group of participants; and a location, in this case RAYGUN Projects, Toowoomba. “The work represents a convergence of a number of influences. The dot work of Yayoi Kusama, the grid works of modernists, the games of the Dadaists, Fluxus and the Situationists, and the participatory works of artists aiming to include the viewer as participants in the created ‘situation’.” The game David has devised is played on a square measuring one metre by one metre placed on top of a plinth with some round discs denoting various values, which are placed around the board. Although the rules of the game were displayed on the gallery wall there was much mirth as those attending the launch tested themselves against each other. The showing will continue through until the end of September.